SPEAKERS: Magnus Bjarnason of the Landsvirkjun Energy Company, Martin Crouch from OFGEM, Stuart Murray from Poyry Energy Consulting, Sam Peacock from NorthConnect. Further biographical details below. This event will take place on Tuesday 3rd July 2012, 4.30 pm registration for 5.00 pm start at the Headquarters of Allen & Overy, 1 Bishops Square, London E1 6AD. For tickets, please purchase below. Arguably, since 1986, Britain’s best “power station” has been the France-England Interconnector that runs under the channel, mostly working one-way, bringing French nuclear power to Britain. In 2011, with virtually no fuss, the 1 GW BritNed connector with the Netherlands spanning 160 miles underwater went online after less than two years of construction and just £500m of capital expenditure. In 2012, the UK is on the verge of a new wave of electricity interconnectors, with a combined capacity approaching 10 gigawatts – but why? Are interconnectors the new “cloud” -based international redundancy solution for the National Grid? Is it because they are relatively cheap, quick to lay down (30 km a day) and constitute a low cost “regulated asset base” investment for national grid style monopolies? Are they the cheapest way to increase the availability of large quantities of nuclear (from France and renewable (Hydro from Norway, Geothermal from Iceland and some wind) power to the UK National Grid? Are they the best way of bypassing Britain’s torturous and costly infrastructure planning obstacles? Are they the best way to load-balance gigawatt quantities of intermittent on and offshore wind? Do interconnectors – a 2 way power solution – make us more or less vulnerable from an energy security perspective? To debate, discuss and inform about the rapidly expanding new frontier of electricity in the UK, FES has brought together two leading experts to find out what is really happening. N.B. a PayPal account is not required to make payment, just select on your required number of tickets, click on Check Out and follow the link on the next page to “Don’t have a PayPal account?” to start. Or if you prefer, email dan@future-es.com for an invoice. We do not send out tickets in the post – your receipt of payment is your ticket. We will ask you which names you would like to attend and appear on the badges. Martin Crouch is Partner, European Strategy and Environment. He leads the team which provides Ofgem’s input into developing genuinely competitive and sustainable European gas and electricity markets and facilitating the transition to a low carbon energy sector. Martin will give a big overview of the UK’s experience with interconnectors, touch on the regulatory issues and where we may be headed in the future. Magnus Bjarnason is Head of Marketing and Business Development at Landsvirkjun Energy Company (LEV). LEV propose to lay the longest interconnector in the world between Iceland and the UK, bringing Icelandic geothermal power to the UK. At the end of last month, both nations signed an agreement to to exchange information on the use of geothermal power and to explore the legal and regulatory issues surrounding the use of an interconnector between Iceland and the UK. NorthConnect is a project company owned by 5 partners in Norway, UK and Sweden who aim to plan, build and operate an HVDC interconnector between Norway and the UK. One of those UK-based partners, Scottish & Southern Electricity, will be presenting on NorthConnect. Sam Peacock is Head of Public Affairs at SSE. 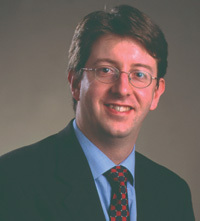 Stuart Murray is a Senior Consultant who joined Pöyry in 2005. Stuart specialises in energy market modelling and asset valuation and has worked on a variety of renewable and conventional power assets transactions in a wide range of countries. He has been responsible for building financial models of power assets in the Europe, North America and Asia. Stuart has assessed numerous potential interconnector projects in both Europe and the Middle East. N.B. a PayPal account is not required to make payment, just select on your required number of tickets, click on Check Out and follow the link on the next page to “Don’t have a PayPal account?” to start. Or if you prefer, email dan@future-es.com for an invoice. We do not send out tickets in the post – your receipt of payment is your ticket.